In the 19th century accurate time was determined by astronomical means. Clocks were set by when the sun or a star passed the meridian (an imaginary line in the sky running from north to south). 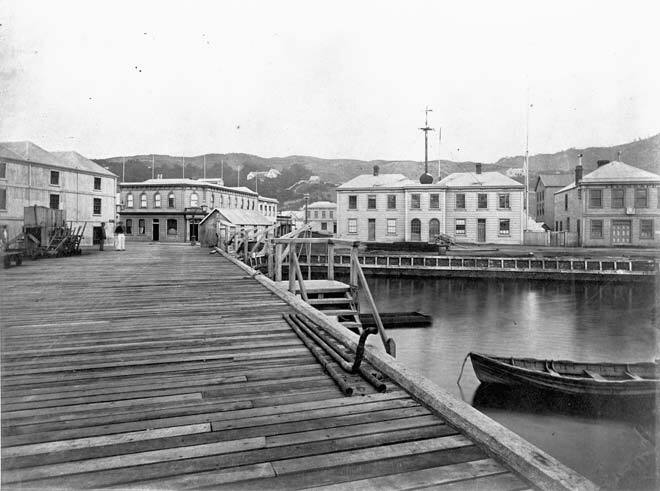 Wellington Customs House was located adjacent to the Provincial Observatory and carried a large metal time ball on its roof, pictured here in the late 1860s. The ball was raised to the top of the mast every day at five minutes before noon and dropped precisely at midday. Ships’ captains could set their watches and clocks by it when they were anchored in Wellington Harbour.